Eternal Sands is a staple in the Rose Empire Dance Company. Established in 2012 as a cabaret student troupe, Eternal Sands is now a full-blown, award winning, semi-professional troupe. 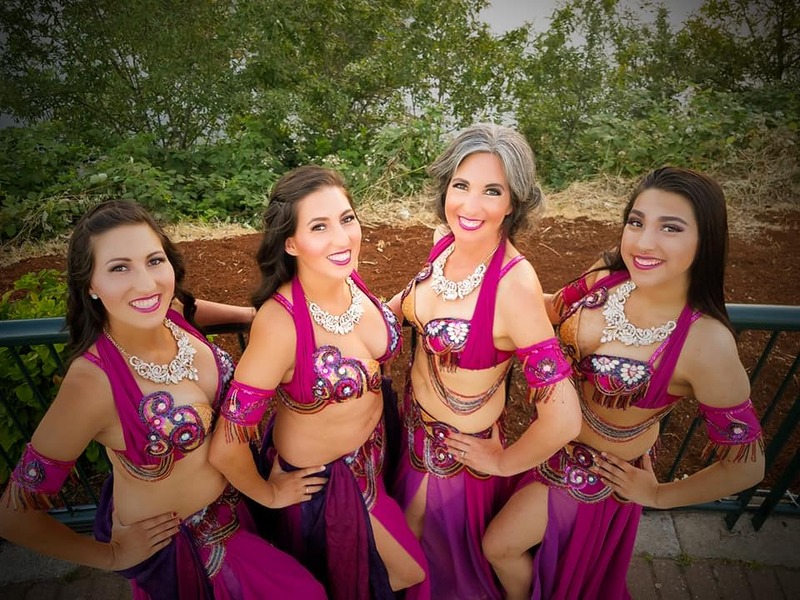 With members ranging from teens to moms, this troupe truly shows the diversity of belly dance. Members Gabriella, Ashley, Victoria and Aurora are unbelievably talented and dedicated; these women will blow you away with their amazing dance ability. “The twins,” Ashley and Victoria are sassy yet sweet, hard working and take their dance seriously. They are both loving mothers and still find the time to take their dancing to top-notch heights. Gabriella is the teenager gone pro; she may be the youngest in the troupe but she is already at the professional level with technique and performance ability. Aurora has shown true passion for this art form. She is the glue of Eternal Sands, and makes sure everything is done the right way. She volunteers her time to help out extra with the troupe, on top of her full-time job as a librarian and mother. Aurora is a stellar dancer and shines on stage, always letting her passion show through. These four amazing women are the heart of the “Rose Crew,” and they prove it year after year. Placing at competitions, performing at festivals, and making names for themselves as soloists, Eternal Sands is the full meal deal.